examples/demo.html [view source] : It show an video with the adjusted colors. You can play with it to get a better feeling of what this effect can do for you. It build the passes for the color effect. It exposes colorPass.colorPass for a THREE.EffectComposer instance. This module comes with a set of predefined color cubes : 22 of them to be exact. You can set the color cube you want: one of the 22 already provided, or your own. It default to default. Here is the full list of available colors adjustement : default, monochrome, sepia, saturated, posterize, inverse, color-negative, high-contrast-bw, funky-contrast, nightvision, thermal, black-white, hue-plus-60, hue-plus-180, hue-minus-60, red-to-cyan, blues, infrared, radioactive, goolgey, bgy. 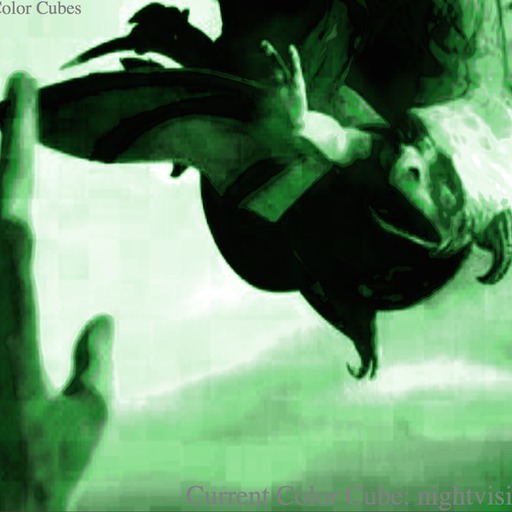 There is a smooth linear transition between the old colorCube and the new colorCube. You can tune the delay like this.